I wish they’d get rid of the stupid 4 year expiry rule. I still have an oyster card that I got in 2005 that works perfectly well . I also presume the open system is mainly due to the high cost of staffing. But it would be worthwhile seeing a cost-benefit of re-introducing tram conductors and manning every station to check tickets. Having moved from Melbourne to Sydney, I find it the contrast between the two systems interesting. I don’t know what the fare evasion numbers are in Sydney, but I can’t imagine they are much different from Melbourne, and I don’t know what’s the strategy for protecting against it other than by observing the behaviour of the public transport employees. 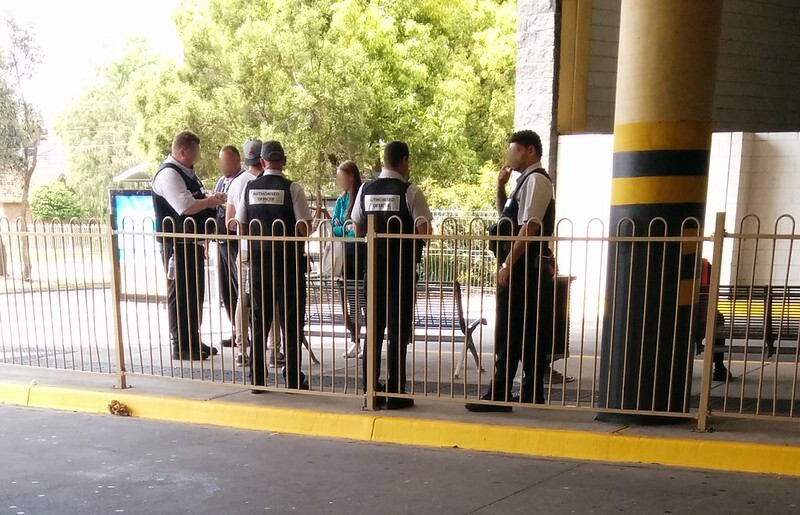 In five years in Sydney, I have *once* seen inspectors checking tickets inside trains, and only a handful of times inside buses (but I don’t take buses at peak periods all that often). In the light rail, arguably the “more open” of the transport options (in a bus you have to walk by the driver and validate your ticket or tap your card, and all busy train stations have fare gates; ferries are… complicated), there are always inspectors roving the cars and checking almost everybody’s ticket/card (but this inspector will sell you a ticket if you don’t have one, rather than fining you). One thing I did notice, though, was that since the introduction of smart cards they seem to be using a lot of people to keep watch on fare gates at the busiest stations during peak hours; at Central Station there will be a large group of inspectors watching as people exit in the morning, and the same in – say – Parramatta in the evening, and stopping some people – they seem to target people with paper tickets and with concession cards. And gate jumpers, of course. Most train stations outside central Sydney, with the exception of larger hubs, have no gates, and from what I can see there is *very* limited enforcement of fares if you never go through a gated station. I think it’s probably worth remembering that fare evasion rate on trams when Melbourne had conductors was 5%. This includes people who either deliberately or unintentionally got on a tram and didn’t purchase a ticket because the conductor was up the other end of the tram or didn’t get to them in time. There were many people who used to see where the conductor was on the tram and try to board as far away from them as possible to try and get a free ride. Particularly at peak times or on longer B-Class trams. So there’s absolutely no business case for reintroducing conductors. It’s important to remember that in addition to conductors you also had people back at the depots counting cash, people in HR to support them, etc.. From memory, I think that the number of support staff for conductors was around a third of the number of conductors on the network. In the last survey the fare evasion rate on trams had dropped to about one percent higher than with conductors. If all the gated stations on the train network are kept closed and staffed (which they are supposed to be from 7am to 10pm), then around 80% of Melbourne train passengers will have to pass through a gated station at the start or end of their journey, or when they change trains (eg. Caulfield). So in that respect, Melbourne is far from an open system – in fact it has a higher proportion of people going through gates than many other systems. Remember, cities like Berlin have no gates at all. There are other cities that are fully gates where gates are left open at many stations for some of the time (eg. Los Angeles). As patronage increases, there is a business case to gate more stations (hence Springvale, Williams Landing, etc..). I suspect we will see a lot more gated stations as the level crossing removal program progresses. So I don’t think it is accurate to say that Melbourne is an open train system – and the number of trips that can be done without going through a ticket barrier is going to keep falling. @Adrian W, that is precisely the sort of information I’d like to see officially published. 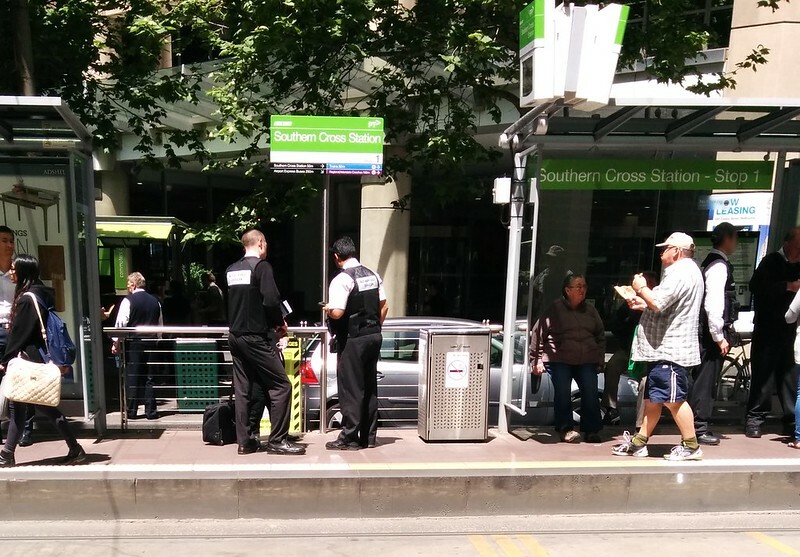 It’s true about fare evasion being an issue when tram conductors were present. Apart from the ridiculous Z-class design which saw seated conductors checking tickets, and largely ignoring people who happened to board at the middle or rear doors, I clearly remember watching a lady board a B-class tram and immediately take the pose of someone who had been there all along, thus she got bypassed by the conductor when he walked past. Presumably some people try this on with V/Line conductors today. By the way, my recollection from when I was a kid in the 70s/80s was that there were both tram conductors and ticket inspectors around the network – so it’s not like the roles were mutually exclusive. PTV now publishes fare evasion rates for V/Line…and it provides some insights into the former tram experience. V/Line used to adopt the approach that fare evasion was very low on V/Line – for the simple reason that if you didn’t have a ticket then the conductor would sell you one (hence no fare evasion). The problem with this logic is that many people would board at a staffed station (eg. Geelong) and refuse to purchase a ticket prior to boarding (which was against the law) on the basis they could buy one from the conductor – so that if conductor didn’t get to them they would get a free ride. There were many people who were doing the math on whether it was worth it purchasing a periodical or just taking their chance each day and trying to get free rides. The introduction of myki has made fare evasion on V/Line more black and white as in the myki area you can top up and touch on just like a Metro service. I think it’s interesting that in the most recent survey that V/Line fare evasion was higher than on trams. There are problems with the small sample size on V/Line, but even so it’s an interesting result. While a V/Line train is obviously much bigger than a tram, passengers are traveling longer distances and the conductor has more time to check tickets and today V/Line conductors don’t sell tickets on interurban services,etc….but nonetheless it helps to provide insight as to why ‘fare evasion’ was approximately 5% on trams under conductors – if you were only going a short distance then you were likely to be able to travel without being asked to pay a fare some of the time. There were both tram conductors and inspectors back in the day, but the inspectors were a very small group and their role was as much to check that the conductors were doing their jobs as it was to catch passengers who refused to purchase a ticket from the conductor or check concession cards. I think that the other thing to consider is that revenue protection techniques are based on patronage levels. I think one of the best examples of this is around station gating. Initially the Metcard barriers were kept open pretty much all the time as it simply wasn’t worth the cost of staffing them for the revenue that was collected. Then in the early 2000s patronage had grown and it was decided to keep them closed from 7am to 10pm at CBD stations. Patronage grew again and then it was decided to keep them closed at all gated stations in the mid 2000s. As patronage has continued to grow we have seen more stations fitted with gates. So it’s important when looking at this issue to remember that patronage levels (both current and projected) do influence the strategy. Those Network Rail tickets may not be electronic ticket barrier readable. If they are not electronic ticket barrier readable, then the barriers must be heavily manned with staff, rather than only a single staff member at all but the busiest gates. That would make a massive difference to the economics of ticket barriers. The Berlin fully open system is very convenient. If you get a periodical, you only need to get your ticket out for occasional inspections (they do happen, I had my ticket checked last time I was in Berlin) rather than every time you enter the system. Would it be cheaper to have free public transport? However people lament the billion or so dollars, but this is over ten years. People who want to say Myki is crap sound if the money is already spent but it covers ten years of maintaining Myki machines and all the other bits. One of the things that isn’t appreciated is that myki has saved significant sums of money. The focus has been quite rightly on the cost of the system (and yes, that was pretty high! ), but perhaps there hasn’t been a good understanding of the cost savings that have been delivered, initially from Metcard and then myki. Back before Metcard or myki the costs of issuing tickets were pretty closely linked with the number of tickets sold. For example, if patronage doubled then you would need to spend some pretty significant sums of money on more conductors, more station staff, etc. One of the important points about Metcard is that patronage doubled during the time that Metcard was the ticketing system – and yet the amount of ticketing equipment did not need to be significantly increased because people were encouraged to purchase 10x2hr tickets, etc. With myki and things like auto top up, online top up, etc, the system will be able to cope with pretty significant patronage increases in the future without significant increases in the amount of equipment required. So the percentage of fare box that goes towards managing the ticketing system dramatically decreased from paper tickets to Metcard and further decreased with Myki – and as patronage increases it will decrease even further. There are many arguments used for free public transport – but it’s important to realize that myki actually weakens that argument as it will continue to reduce the percentage of fares required to cover revenue collection costs as patronage grows. As an example, with myki you get to a point where the number of devices on a platform isn’t related to patronage at that station. If you think of a suburban station then there needs to be enough devices to cope with people being able to touch on and touch off a train that arrives or departs. But if the trains arrive more frequently then you don’t necessarily need more devices. Put another way, if a station can cope with a heavily loaded train now, then if trains run twice as frequently then you don’t need twice as much equipment. And with no moving parts myki doesn’t need twice the maintenance. As long as there is enough equipment to clear the platform before the next train arrives then you’re fine. I hope this example gives a broad indication as to my comment that Myki will be able to cope with some pretty massive patronage increases over the year ahead without the need for massive increases in equipment – effectively spreading the cost of the system over a growing number of passengers as frequency is increased. — No. Revenue is up about $800m/year. The cost of the ticket system plus staff plus inspectors would be perhaps a quarter of that at most. I don’t think you factored in the revenue reduction from the decrease in Zone 1+2 fares. :) But I also think that your cost estimates are a bit high. It depends what you include in the equation. For example, how you treat the original cost of the system (eg. over how many years you amortize the cost), how many AOs you’d need to keep in a free environment (eg. for behavioral offenses, crowd control at special events, attendance at incidents), how you treat credit card fees, etc. Given the projected growth in patronage, and my point before about how there won’t need to be a significant increase in equipment or maintenance to support this, I think that it’s reasonable to assume that the cost of myki will be in the order of 10-15% of revenue within a few years as the fare box continues to grow. But as i said, how you calculate that figure depends on assumptions about how many staff you would let go if fares weren’t collected (probably not as many as most people think). 10-15% sounds good, but how does it compare to systems overseas? Is Oyster 1%, 5%, 10% of London’s revenue? – The way customers reload can impact on costs (eg. online top up is cheap, retail agents need commissions, machines need maintenance). London has been very good at encouraging people to switch to lower cost channels. Some other things that may interest people…the ability to pre-purchase Metcards cut down on the AM peak rush to purchase tickets, but this has been further reduced with myki (eg. people are less likely to purchase or top up on a Monday morning than they used to be). This reduces the amount of ticketing equipment you need as patronage grows. The myki system also offers a complex range of ticketing fares, with both zoned and time‑based charging and a variety of concessions and discounts. The system executes 150 business rules each time a card is scanned, which constitutes around 1.07 million fare transaction‑type permutations, making it one of the most complex smartcard ticketing solutions in the world. As at December 2014, more than 13.4 million myki cards had been issued with the system processing around 7.8 million ‘touch on’ transactions per week from 9.9 million active cards. 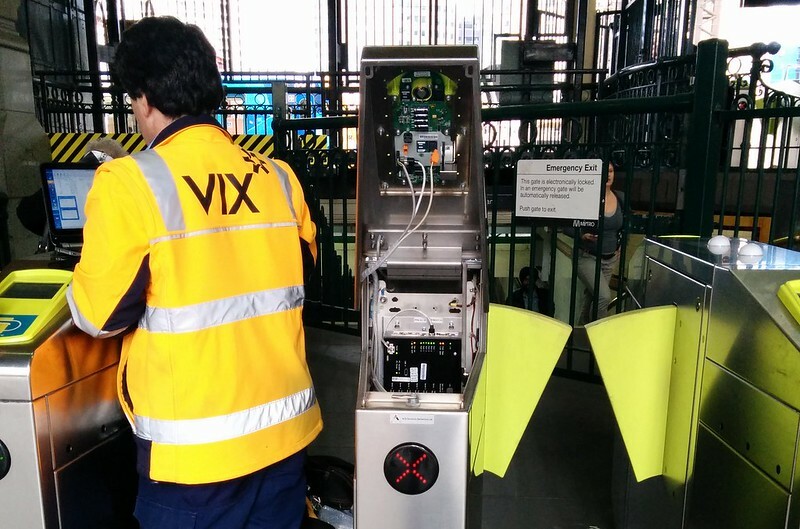 In 2013–14 the total farebox collected by myki across all transport modes was around $800 million. But yes, the 2013-14 includes revenue from zone 1+2 fares and CBD tram trips which is no longer collected (estimated $100 million). Not surprised my cost estimate is high… it was plucked out of the air. The effects of reusable cards are interesting. One side-effect you haven’t mentioned is the reduced litter. You also don’t see half-used tickets left or given to people as passengers leave railway stations.